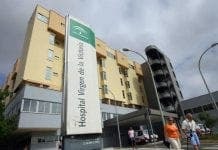 THE long-awaited Guadalhorce valley hospital has finally been finished. The building is now awaiting official sign off from the Junta’s health department so it can be fitted out. It is hoped it will be up and running before the end of the year.